Weddings are events that most people would want to have in their lifetime. Birthdays are special but nothing beats the feeling of being joined in union with the love of one’s life. Weddings could be a handful of an event to pull, but celebrity weddings are most times off the charts. From picking the right gown/suits, the wedding shopping, to the drafting of the guest list and choosing the perfect cake design, among other things, you can’t imagine how much money goes down the drain in sculpting a perfect wedding. So many of these celebrities have taken it upon themselves to give news tabloids topics to write about with their expensive celebrity weddings. 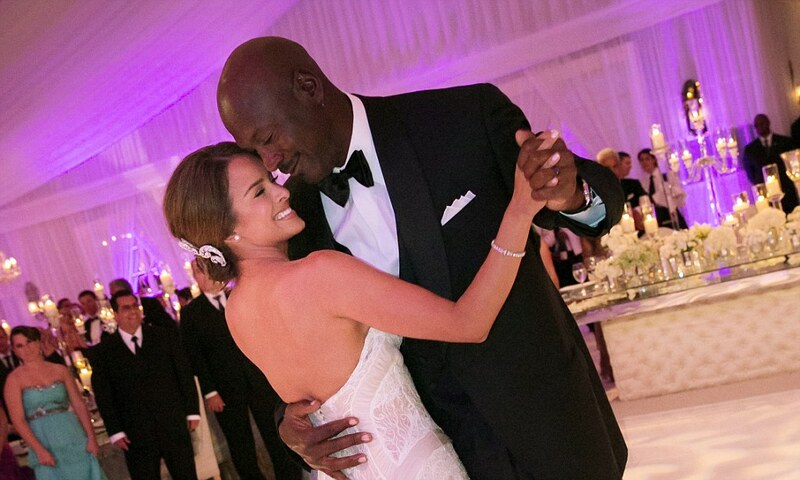 We took the time to pick out the top 20 of such expensive celebrity wedding for your delight. This royal wedding took place on July 29, 1981, and has been at the top of the list of the most expensive celebrity weddings of all time. The highlights of the wedding include late Princess Diana’s wedding gown which had a 25-foot train – the longest in history – which was made of ivory silk taffeta, hand embroidery and was covered in 10,000 pearls. Its value stood at £9,000. The wedding had in attendance members of the British Royal Family, heads of republican states and the family of the bride. In total, the wedding had 3,500 guests. Over 30 cakes were baked for the event and the venue was heavily fortified in terms of security – with security alone costing $660,000. The total expenses made on the wedding is was dubbed ‘Wedding of the Century’ was rounded up to the tune of $110 million. Beat that! This comes second on our list of most expensive celebrity weddings in history. The groom was a British-born Indian who had made a name as a highly successful businessman while the bride was a multiple degree holder from the family one of the richest men in the world – Lakshmi Mittal, a steel industry magnate. The wedding lasted a week and comprised of exotic dinners and ceremonies at destination venues. It had in attendance about 1,000 guests whose cost travels and 5-star hotel accommodation was taken care of by the couple and their families. Among the list of expenditure includes the fee of $33,000 paid to the music star Kylie Minogue. The wedding cost a precise amount of $78 million. Talk about expensive celebrity weddings and there you have it. Sheikh Mohammed is the crowned prince of Abu Dhabi, UAE. He got married in 1981 in a 20,000 capacity stadium specially built for the event. It lasted for seven days and included horseback rides by the bride and groom around all the towns in the emirates, gifting out items. The wedding included bejeweled camels that brought the bride’s gifts to her husband. This wedding cost $45 million at that time but will cost about a hundred million US dollars if it were to be today. 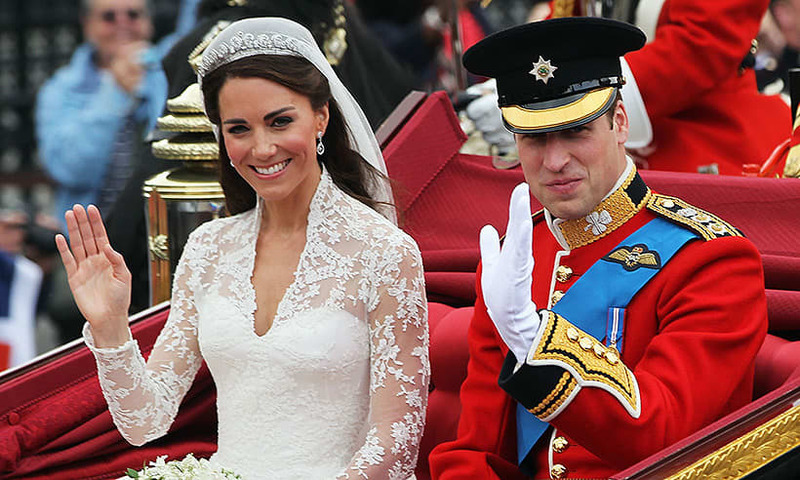 This royal wedding came down in history as the fourth most expensive celebrity weddings. It was estimated to have cost a staggering $34 million. Prince William is the second to the throne of England and he was getting married to his longtime girlfriend, Kate Middleton at the Westminster Abbey, London on April 29, 2011. Most of the wedding’s guests were top notch celebrities. The amount spent on its security was $8 million. Kate’s wedding gown which was designed by Sarah Burton cost $430,000; with her flower bouquet and the cake, the cost rose to $1.3 million. The guests at attendance were about 2,500 and it was broadcast worldwide. Aleksandra Kokotovic is a model and former Miss Yugoslavia. She is also Serbian and wife to the Russian business magnate, Andrei Melinchenko. The couple tied the knot at a grand wedding in September 2005 at Cote d’Azur, Rivera, France. This expensive celebrity wedding was attended by Whitney Houston and Christina Aguilera who were flown into France and paid $3.6 million just to perform at the event. The number and caliber of guests are unknown but we can imagine who were on the list. The total cost of the wedding was $30 million, putting it at a tie with the next wedding we will look into. The wedding of the popular rapper and singer, Kanye West to his gorgeous bride, Kim Kardashian came with a lot of glitz and glamour. They got married on 24th May 2014 at the 16th century-era fortress, locally called Forte di Belvedere in Florence, Italy. Kim had been married before – one of the expensive celebrity weddings on our list – but the cost of her marriage to Kanye West surpassed the cost of her previous wedding (and we even think she deserves an award for making two entries on our list of most expensive celebrity weddings). This wedding was executed at the cost of a whopping $30 million with her dress costing $500,000 while $250,000 was spent on the transportation logistics for the guests. The reception spanned over two different countries, Yes, you heard right! Two European countries. The seventh on our list of most expensive celebrity weddings is occupied by successful Indian celebrities, Priya Sachdev and Vikram Chatwal who got married in February 2006. Priya is an actress and model who has featured in the Indian version of Elle, while Vikram is a former hotelier, actor and model who is popular for his nightlife. Priya got married in a traditional Indian manner. The wedding had in attendance 600 guests who were ferried across three cities in India in private jets, beginning from Bombay to Udaipur and lastly to Delhi. The wedding lasted 10 days and cost $20 million. It had in attendance notable personalities as former president of the United States of America, Bill Clinton. The lavish wedding held at the Odeshalchi palace at Lake Bracciano, Italy in 2011. Petra Ecclestone is the daughter of British business tycoon and the former C.E.O of the car racing sport, Formula One, Bernie Ecclestone; and even though the groom, James stunt is also a billionaire business magnate, it was Petra’s father, Bernie, who single-handedly sponsored the wedding financially. Talking about expenses, the venue for the wedding cost £330,000. The wedding featured high-powered performances from musical superstars such as The Black Eyed Peas and Alicia Keys at the costs of $2.6 million. The event also had a feel of good music blend by the popular DJ David Guetta. The wedding cost a total amount of $20 million. Kris Humphries and Kim Kardashian‘s extravagant wedding is one of the most expensive celebrity weddings of all time. It took place on August 20, 2011, in California and was put together with $10 million. This was Kim’s first wedding and she did it in grand style, changing three Vera Wang gowns that altogether cost $60,000. She also had $20,000 worth of diamonds on her at the wedding while her wedding cake cost $20,000. In attendance was the Kardashian family members alongside over 400 other guests who comprised of famous celebrities like Demi Lovato, Eva Longoria, Ciara, and the likes. It had a superb reception that made headlines. Micheal Jordan is our favorite former basketball player who played for the Chicago Bulls and Washington Wizards. He got married to Yvette Prieto, a Cuban model in 2013. The couple got married at Bethesda-by-the-Sea church in Palm Beach and had an attendance of about 300 guests. The wedding was estimated at the cost of $10 million. That high cost was mainly a result of the bride’s dress, the cake, white roses, and the exquisite golf resort reception in Florida among others. Among the guests was the sensational R&B singer, Usher Raymond. 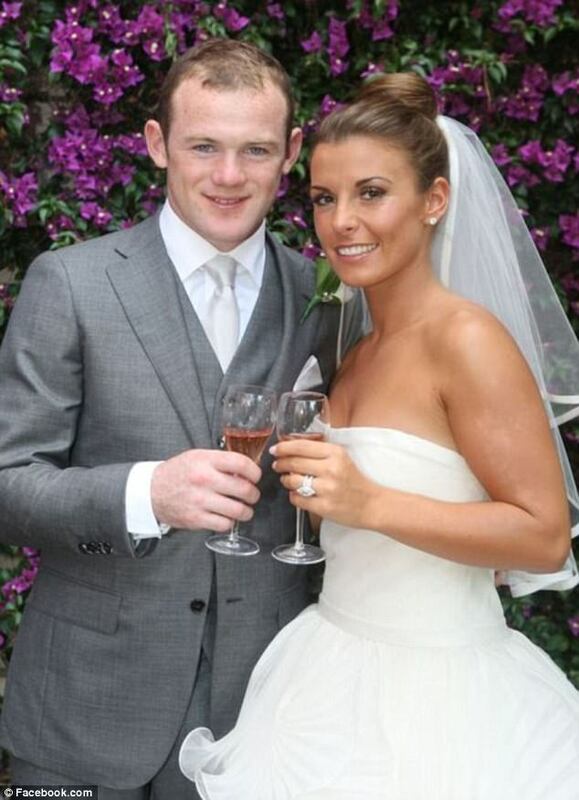 Wayne Rooney’s wedding to his heartthrob, Coleen McLoughlin was one of it’s kind and lasted four days – starting on July 12, 2008. Coleen and Wayne were high school sweethearts and they got married at the Villa Durazzo, Italy Riviera. Wayne Rooney is a footballer (soccer) who played for English football club, Manchester United and England national team while Coleen McLoughlin was a television presenter. Her wedding dress was rumored to have cost up to £20,000 pounds and had pearls sewn into it. Guests were flown on private jets to Italy and luxurious reservations were made for their comfort. There was a musical rendition by Coleen’s favorite band, Westlife for a fee of $700,000 excluding travel fees. The wedding cost the couple $8 million. Delphine Arnault exchanged marital vows with Alessandro Vallarino Gancia at the Cathedrale Saint-Jean-Baptiste and had a grand reception at the monumental Château d’Yquem vineyard at Bordeaux, France. The wedding was the talk of the town in France in the year 2005. The couple was made up of the chairperson of Louis Vuitton Moët Hennessy empire as the bride and the future heir of an Italian wine dynasty as the groom. Arnault’s gown was designed by House of Dior and you bet it cost a fortune, although the cost is not documented anywhere. 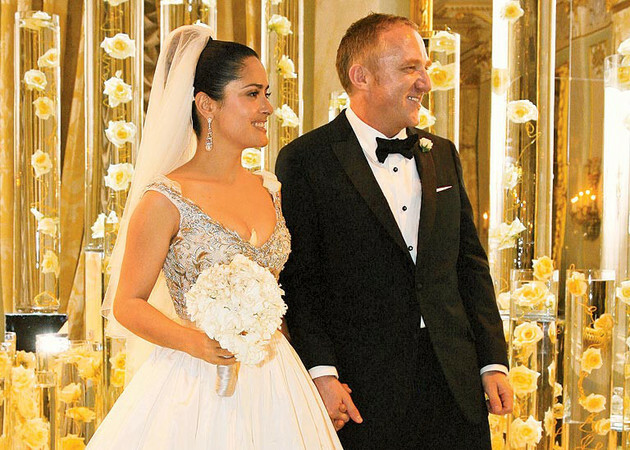 The white rose decked wedding and reception was said to have cost the couple $7 million. The American singer got engaged to and married Jessica Biel at the Borgo Egnazia hotel, south of Italy on October 12, 2006. Jessica broke the conventional rule of wearing a white wedding dress and wore a Giambattista Valli Haute Couture pink gown. Absolutely Stunning! 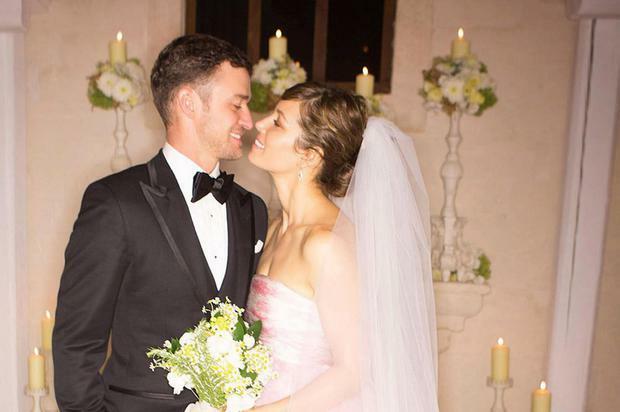 Justin Timberlake loves his privacy and went the extra mile to ensure that his wedding was not flooded by paparazzi. He paid for all the rooms at the hotel, paid the neighboring buildings to shut down and put in place heavy security. His guest list was just a minimal 100 persons which comprised of mostly fellow stars. The wedding cost a staggering $6.5 million. The son of former Pennsylvanian Congressman, Marc Mezvinsky wedded Chelsea Clinton, the daughter of the former US president, Bill Clinton in 2010. The wedding took place at Astor Courts estate, New York in $600,000 air-conditioned tents. The couple exchanged vows in front of 400 guests who were mostly celebrities. The bride’s wedding dress was a chic and modern strapless white gown that complemented her beauty. The event had water-tight security and cost $5.4 million. Gabrielle Union‘s wedding makes our list of the most expensive celebrity weddings. The Hollywood star tied the knot with her fiance, Dwayne Wade on August 30, 2014. The wedding took place at the castle-like Chateau Artisan, Miami. Gabriella looked stunning in her Dennis Basso dress. A miserly 200 guests attended her wedding among which where Hollywood stars Kevin Hart, Ludacris, LeBron James, and classical musical act John Legend – who also performed. All the expenses that came with the wedding cost the couple $5 million. One of the richest Hollywood celebrity, actor and producer, George Clooney got married to Amal Alamuddin and the couple tied the knots in Venice, Italy on September 27, 2014. George looked handsome as usual in his Armani tuxedo while his bride wore an Oscar de la Renta gown. The wedding lasted a weekend and had all the rooms at the Cipriani Hotel paid for. The guest numbered over a 100 and they all enjoyed an all-expense paid trip to the event. The wedding cost a whopping $4.6 million. The American producer and television personality, late David Gest tied the knot at a rather late age, however, in a very grand style. He got married to Liza Minneli on March 16, 2012. 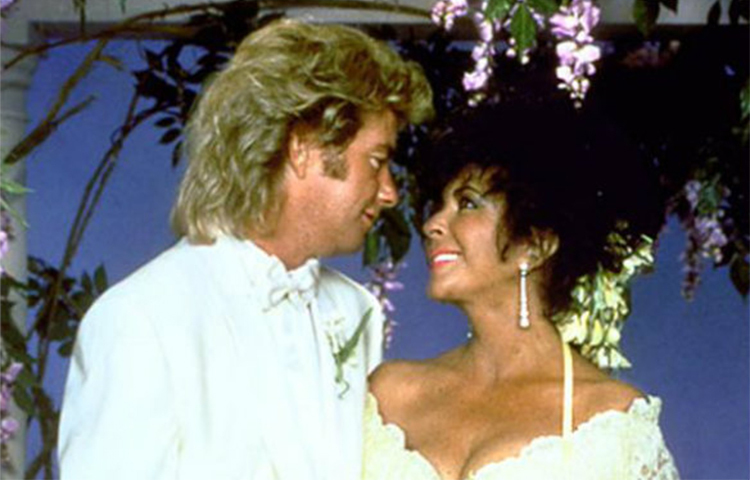 Highlights of the wedding were the appearance of the late pop king Michael Jackson as the groom’s best man and Elizabeth Taylor as the Maid of Honor. The wedding had 850 guests in attendance and was held at Fifth Avenue, New York. The wedding cost $4.2 million. Elizabeth Taylor is famous not only for her beauty but also her fleet of marriages. The American legendary Hollywood star ended up with a construction worker – Larry Fortensky – as her last husband. The couple got wed on 6th October 1992 at Michael Jackson’s Neverland Ranch. The wedding had 150 close friends in attendance. Among the guest in attendance was the Hollywood veteran actor Eddie Murphy. The wedding expenditure was rounded up to $4 million. When you talk of fairy tale and most expensive celebrity weddings, that of Trista Rehn and Ryan Sutter would definitely not be left out. The couple met on the ABC television series The Bachelorette and got married in its final episode on the 6th of December 2003. Their wedding was shown live and had over 17 million viewers. Most of the cost of the wedding were covered by ABC station while the couple contributed $1 million. The weddings total cost was $4 million. The last on our list is the most romantic. The wedding ceremony took place on 14th February 2009 – Valentine’s day. The true celebration of love took place at the Grand Teatro La Fenice, Venice, Italy. The Hollywood actress spined heads with her gorgeous Balenciaga gown and the orchid and stephanotis bouquet in her hand. The wedding’s guest list comprised of a few people numbering a total of 150 who were largely celebrities and family members. The reception was a masked ball party and altogether the wedding cost $2.6 million.